Fredericksburg ROCKS! Once again, despite cancellation of the Parade of Lights and After Glow Party, this community has put on its glad rags for Christmas and welcomed 10 wounded warrior families to join us for this celebratory season. These 50 people were all treated to dinner in the ballroom of the Nimitz Museum then played games to win the live poinsettia centerpieces before going off to other entertainments. They had many opportunities for entertainment through the weekend including going to Fritztown Theater for a movie, entry to the Nimitz Museum, going ice skating at the Eisbahn, experiencing German and settler crafts at Pioneer Museum and, of course, shopping and meals at West End Pizza and Fredericksburg United Methodist Church. Wow, what a weekend! If anyone is questioning the value of our efforts as seen by those who come to visit let us share two special stories from this weekend. Our first surprise came from the Menchaca family. They have been able to come to another of our events earlier in the year and indicated on Friday that they had something they would like to share with our volunteers when they came for dinner on Saturday. What they had were Christmas ornaments for each of the group who had prepared dinner for us and several others, and two cheesecakes for all to share. They had made a special trip to Mexico to find the ornaments. The second example of gratitude occurred on Saturday also. As dinner was finishing, one of the soldiers, SFC Tyson Persona, asked for the opportunity to use the microphone. He spoke eloquently of the difference between being thanked for their service when seen in uniform and being invisible once separated from their military arm due to their injuries. He explained that we (Wounded Warriors at Nebo) were the ones who recognized and met their need for continued recognition of their sacrifices. He stated that this community have opened our arms to them and made them feel both welcomed and thanked for their continuing sacrifice of health and well-being. Thank you to all who have donated services, money, time and prayers. An extra special thanks to the Nimitz Museum for donating their ballroom space for dinner on Friday evening, to Heritage School for donating free skating for all of our visitors, to the Pioneer Museum for the donation of free admission, and to Fritztown Theater for a deep discount on movie admission for 31 people. I am sure the families you have affected this weekend would tell you the same – God bless Fredericksburg! 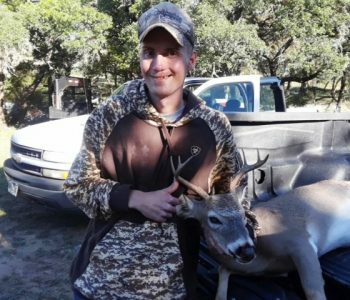 Brad Bowen, DOD Military Adaptive Sports Program, brought three wounded warriors from the Warrior Transition Battalion at Fort Sam Houston to Fredericksburg to help a local rancher thin the deer on his property. 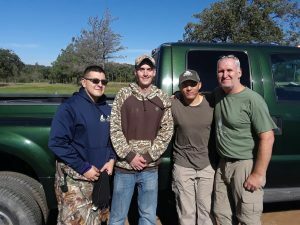 While the ministry doesn’t promote or arrange hunting trips we do provide the ranchers with military contacts. Both the rancher and the warriors benefit. Christmas in Fredericksburg is Magical!! Families and Couples will arrive Friday and check in the hotel, have dinner then watch the Fredericksburg Lighted Christmas Parade. Saturday we will gather for lunch and dinner but everything else is free time to explore the many wonders in town – like ice skating, the Pioneer Museum special event for kids, etc. Sunday everyone is invited to attend the church of their choice prior to returning to San Antonio. If you have kids or are a kid at heart you will really enjoy this weekend. Sign up at WFSC – space is limited!! Couples will be housed at a local hotel where they will meet with Chaplain Thompson for counseling on strengthening marital bonds. Although the primary counseling will be group sessions, Individual counseling will be available upon request. Sessions begin Friday night prior to dinner then continue Saturday breaking for lunch and stopping about 3PM for the couples Date Night. Sunday begins with an optional Praise Service followed by the last counseling session. Space is limited. Sign up at WFSC. This event is primarily for Cadre & Staff to refresh and unwind from the everyday stress and burnout. Participants will arrive at Enchanted Rock with Chaplain Thompson for a day exploring the area and enjoying a lunch in Fredericksburg. This will be a day of both spiritual and physical fitness. Sign up through Chaplain Thompson’s office. Chaplain Thompson will lead couples in discussions on identifying potential problems and how to avoid them strengthening marriage bonds. Lunch will be provided then couples will be able to explore the grounds of the Lazy U Ranch and enjoy relaxing in the beautiful setting. For more details or to Sign up contact the Chaplain’s office. Couples and/or Families arrive in Fredericksburg Friday afternoon, check into their lodging accommodations and gather for dinner and orientation. Saturday is their day to do whatever they want – explore, shop, sleep, etc. We do meet for both lunch and dinner on Saturday. 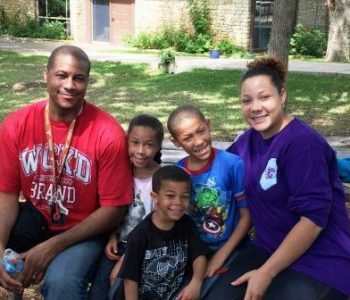 Sunday they are invited to attend a local church prior to returning to San Antonio. Sign up at WFSC or the Chaplain’s Office. The Fritztown Bass Fishing Club will host the 4th annual fishing tournament at Lake LBJ. Participants are limited to 15 ADULTS. This is a catch and release event. There will be prizes and trophies awarded. Club members are there with their boats to accompany warriors on the lake and get some great one on one fellowship. Lunch will be provided. The Wounded Warriors at Nebo treated seven warrior families, a total of 30 adults and children, to a day at the Natural Bridge Caverns in Schertz on June 16th. We gathered in a beautiful grove of old oaks with picnic tables next to the main information building at 10:00. Soon after, the group went with one of the park guides for a tour of the Maze. Once they returned, we all had a wonderful lunch of barbecue beef and hot dogs followed by several desert choices provided by Diane Smith, Annie Matthews, Dusty Smith, and Debbi McCurdy of the Republican Women from Fredericksburg. Lunch was followed by another group tour, this time of the cave itself. By the time the tour was over it was 2:00 and everyone began their trips home. The day was a true gift from God, and the location of our picnic was so well shaded by the oaks that we hardly noticed the heat of a Texas summer day. As usual, the food and fellowship were wonderful and everyone seemed to have had a delightful time together in the park. A special thank you is owed to the ladies of the Republican Women of Fredericksburg. 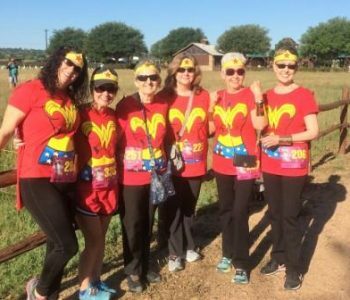 Dottie Pieper, Sharon Massey, Michelle Reson, Ed Fredericks, Betsy Fredericks, Lavern Boos, Kathy Parrish, Diane Smith, Fred Nardini, Judy Nardini, Diane Boerner, Terry Harrison, Diana Harrison, Coleen Hickman, Sharon Ginder, Lisa Callahan and Susan Stephens.